Not only is my garden revived by the ever-increasing moments of sunshine, but flowers are blooming on many of the trees. 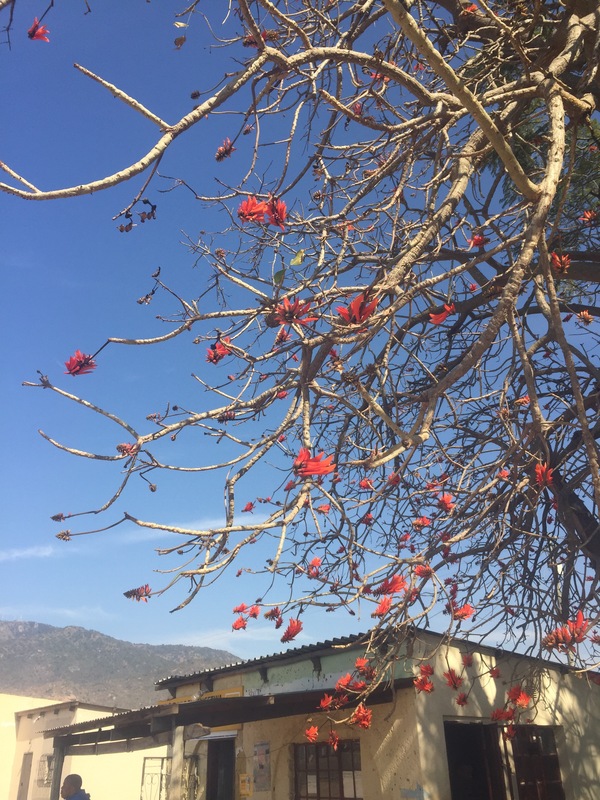 The coral trees were my unexpected favorite when I saw them in bloom last year. Their striking, red flowers in a non-traditional shape are lovely and I was so looking forward to their return. This entry was posted in Africa, Peace Corps, Swaziland, Wednesday photo and tagged Africa, Flowers, Peace Corps, Peace Corps Volunteer, Swaziland. Bookmark the permalink.